A “HARD” BREXIT AHEAD AS PARLIAMENT SIMPLY WON’T APPROVE ANYTHING PRIME MINISTER NEGOTIATES! A "HARD" BREXIT AHEAD AS PARLIAMENT SIMPLY WON'T APPROVE ANYTHING PRIME MINISTER NEGOTIATES! SOURCE: 03-19-19 - Michael Every via Rabobank, - "Rabobank: Xi's European Vacation Sparks Optimism But Brexit Complacency Is Misplaced"
Technically the UK is heading for a hard Brexit as the withdrawal agreement has been rejected twice by parliament, which doesn’t seem to know what it really wants apart from refusing May’s deal. Assuming another vote on May’s deal does not go ahead this week, it seems likely that May will have to request a longer delay from the EU. The market, has perhaps become a bit too complacent about the risk that a negative Brexit scenario may unfold. In the coming days faith among traders in an ability of UK MPs to make rational decisions could fade rapidly and cause a major selloff in GBP. Risky assets have benefited from the Fed adopting a far more cautious approach and Chairman Powell pledging to be “patient” when it comes to raise rates further. However, when we take into consideration the risk of a US recession next year, it is difficult to be optimistic that capital inflows into EM will continue without an improvement in the outlook for the global economy. This, to a large degree, will depend on the outcome of trade talks between the US and China. On that front a meeting between President Trump and his Chinese counterpart Xi to end the trade conflict may be reportedly delayed until June mainly due to China’s persistent reluctance to accept the deal’s enforcement mechanism. This is something that the Trump administration would approved of. That said, if Italy and other EU countries brake rank and start making new deals that potentially strengthen China’s influence, President Trump may open a new front in trade wars by imposing tariffs on European cars. Should such a negative scenario materialise, the Polish zloty and its CEE peers would be particularly vulnerable as the CEE region is essentially a manufacturing hub for the German car makers. Looking broadly at the EM FX sphere, the performance has been vastly diverse since the beginning of 2019. The Russian ruble is the best performing EM currency and with 8.3% gains versus the dollar it is well ahead of the Colombian peso (+4.7%) and the Chilean peso (+4.2%). On the opposite side of the league table is the Argentine peso (-5.9%) and the Turkish lira (-3.3%). Such divergence is not only a function of specific domestic factors, but it also reflects a cautious approach amongst investors who are relatively selective at this stage. When the previous period of capital inflows into the EM space that occurred in January 2017-March 2018, the difference in performance amongst EM currencies was significantly narrower. Out of 24 EM currencies, only 6 did not appreciate vs USD in that period. Back then inflows were mainly fuelled by signals of a synchronised global recovery, which came to a halt when the US started a trade war with China in Q2 2018. Sterling had a volatile start to the week due to - shock, horror, surprise – resurfacing political uncertainty regarding Brexit. Despite attempts over the weekend followed by more talks on Monday, PM May has apparently failed so far to convince rebellious Tory MPs and DUP MPs to support her deal. Perhaps more importantly, House of Commons Speaker Bercow referenced parliamentary rules that the government cannot bring the same Brexit deal again to parliament. “What the government cannot legitimately do is to resubmit to the House the same proposition or substantially the same proposition of that of last week, which was rejected by 149 votes”, he said. His remarks triggered a sharp fall in GBP/USD to an intraday low below 1.32 level. Technically the UK is heading for a hard Brexit as the withdrawal agreement has been rejected twice by parliament, which doesn’t seem to know what it really wants apart from refusing May’s deal. Unless MPs approve a legislation to extend Article 50 – assuming that the EU grants such an extension on the back of an official request from PM May in the coming days – the UK will leave the EU without a deal. 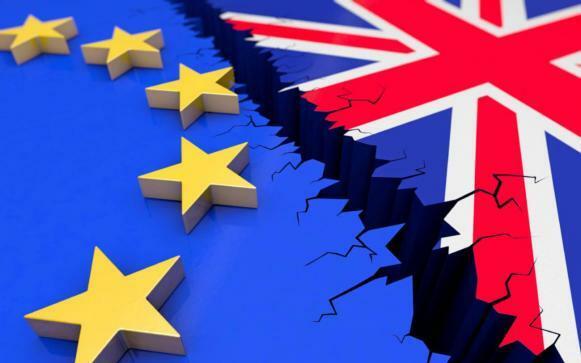 The predominant notion adopted by the market is that as long as the worst case scenario of hard Brexit is avoided by delaying Brexit until ...... (put a date here as your guess Dear Reader is as good as ours), GBP is buy on dips. Assuming another vote on May’s deal does not go ahead this week, it seems likely that May will have to request a longer delay from the EU. The market, however, perhaps become a bit too complacent about the risk that a negative Brexit scenario may unfold. In the coming days faith amongst traders in an ability of UK MPs to make rational decisions could fade rapidly and cause a major selloff in GBP.